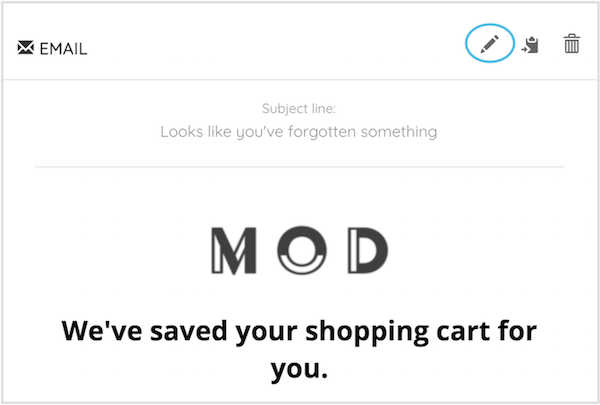 Edit the email templates for your automated email flows to reflect your store and branding. 🔓 Email Flows are unlocked on the Marsello Pro Plan. Customize your automated emails and keep them in-line with your brand using Marsello's easy-to-use email editor. 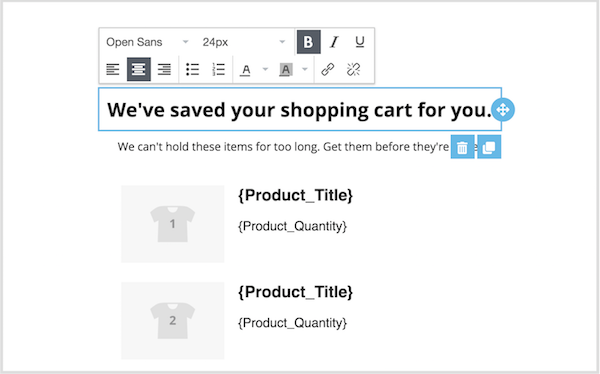 Marsello's email template editor has a simple drag-and-drop approach to designing your emails. 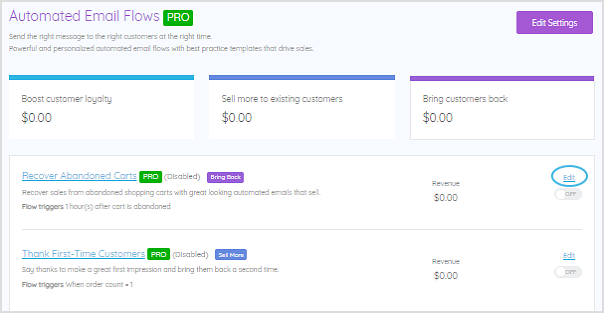 Customization options are endless as you add and arrange email content however you like. The email editor includes a variety of layouts that can be used to further customize the email appearance. 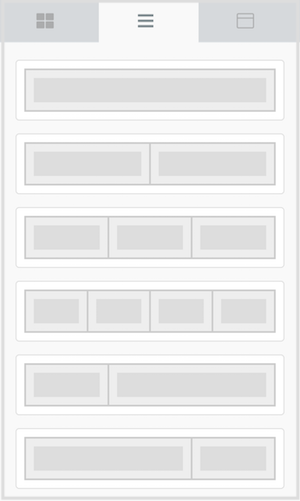 Layouts are containers for content blocks, that will allow you to arrange them side-by-side. 💡Tip: Consider the type of content you plan to add - a gallery of images will work best with 2 - 4 equal width columns, whereas a text caption may work best with 1 full width column. Adjust the general display settings of your email template. 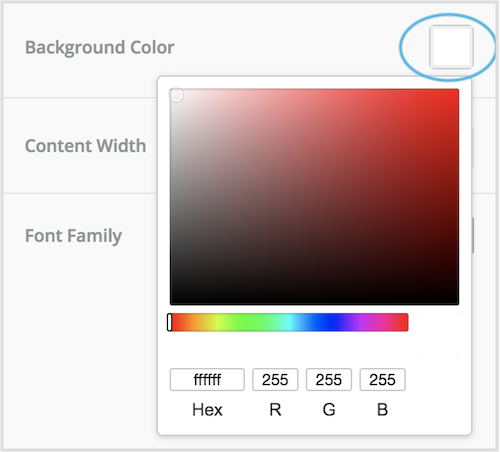 📝 Note: The options available in the display settings tab will vary depending on the content you have highlighted in your email template. Click on different content blocks to see the display options available. 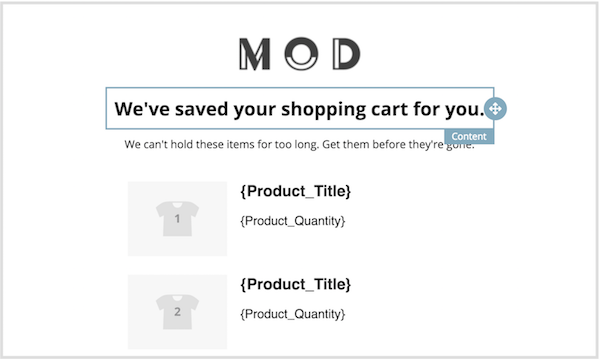 Click the Personalize drop-down to add an automated text field. 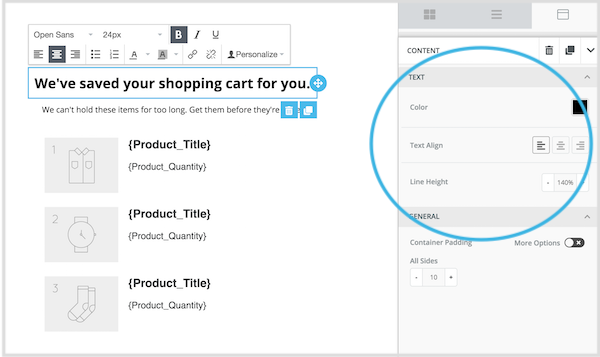 These text fields will automatically populate with information relevant to your customer, further personalizing the message for them.